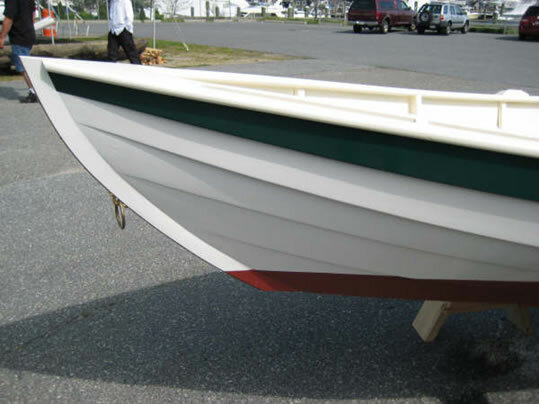 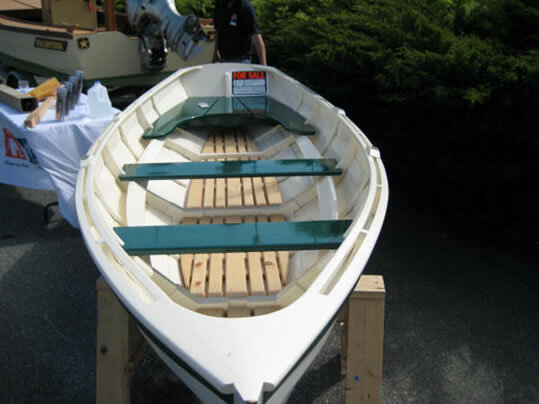 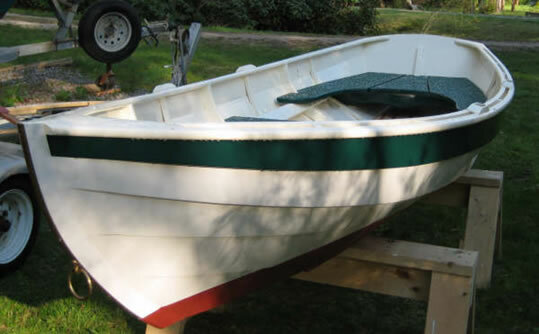 This is a beautiful example of the classic Chamberlain Dory Skiff featured in John Gardner's "The Dory Book." 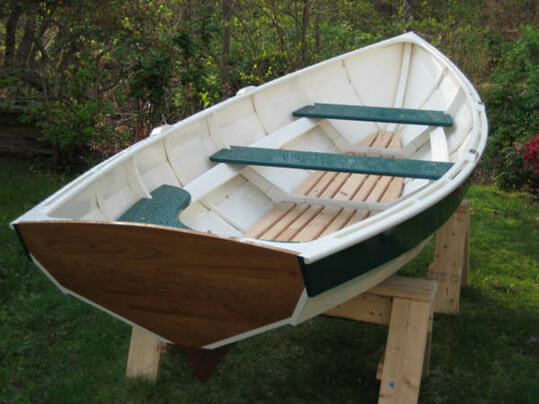 She is planked in White Cedar over White Oak sawn and steam bent frames. 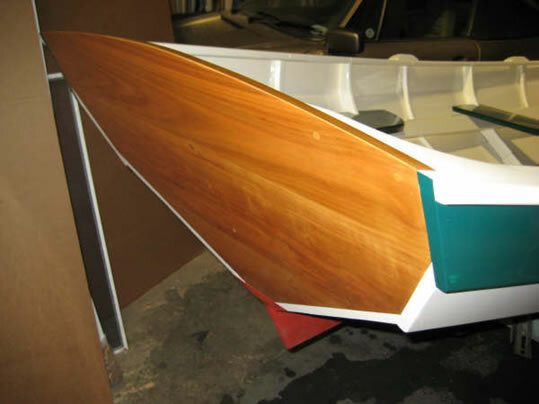 The floorboards and bottom are native White Pine while the transom is varnished Cherry. 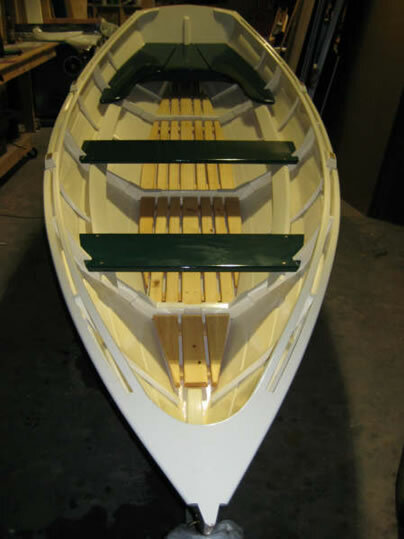 Plank laps are copper rivited and all other fasteners are silicon bronze.